Defeat Diabetes Foundation has gone through a tectonic shift over the past year, from an organization based principally on diabetes prevention and management in the United States, to a globally (and locally) minded organization that supports evidence-based integrated and sustainable solutions for human and environmental health. As part of this growth, we have become increasingly aware of the importance that legislation plays in both promoting and hindering sustainable development, in the US and around the world. The most pressing current example that we are intimately familiar with due to our work with sustainable small-scale farmers in the United States, is the US Farm Bill. In the United States, great strides have been made in the local food economy over the past decade. According to Congresswoman Chellie Pingree from the 1st District of Maine, “local food was a $8.7 billion market for farmers in 2015. 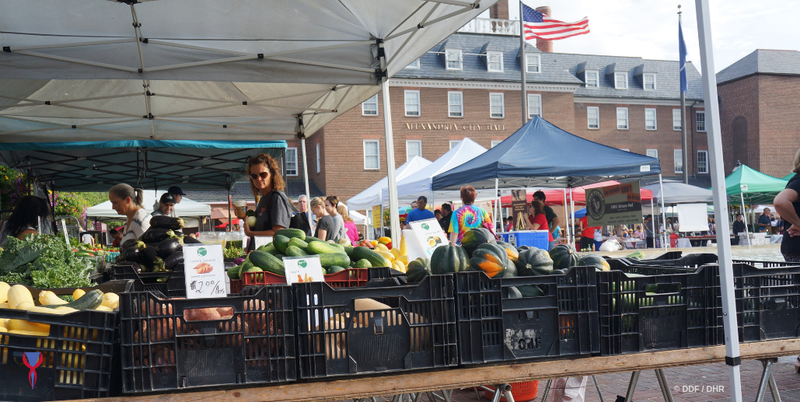 This market does not show signs of slowing down, as USDA estimates that the local food market will reach $20 billion in sales by 2019.” This promising growth has been aided through public initiatives such as the Farmers Market and Local Food Promotion Program (FMLFPP) and the Value-added Producer Grants Program (VAPG). With consumer demand for local and regional products growing across the country, however, further investments in infrastructure and “farm-to-fork value chains” are needed to bring more producers into the marketplace, and to allow easier access for conscious consumers. What is on the table in congress at this moment are two starkly different proposals for the new US farm bill, whose current version expires on September 30th, 2018. The House of Representatives agreed on a farm bill in April 2018 that essentially eliminated federal funding for the local food economy, including FMLFPP and VAPG. The bipartisan farm bill being proposed since June 2018 by the Senate, on the other hand, consolidated and expanded upon past programs to form the Local Agriculture Market Program (LAMP), with long-term mandatory funding guarantees (read more about the structure of LAMP and other aspects of the Senate proposed farm bill here). The House and Senate must come to an agreement on the farm bill by September 30th, or else the old farm bill will be extended with no guaranteed funding. The implications of the bill are high for small-scale farmers and the rapidly growing local and sustainable food and agricultural sector overall, which in turn will have important national and global implications for the environment and for human health. There are many ways in which you can help support the local food economy (better described as the “local food ecosystem,” as Ben Feldman, Policy Director of the National Farmers Market Coalition, calls it), and join the movement towards sustainable agriculture and strong communities. By visiting your local farmers market, joining a CSA (community sustained agriculture), and supporting cooperatives, food hubs, programs and organizations that are part of this conscious paradigm-shift, you can be an active part of the solution. These mindful practices also have the important benefit of helping to ensure overall physical and mental health for yourself and your loved ones, through the eating of healthful fresh, in-season produce. To more directly and immediately support LAMP, see the below resources for recommendations on how to take action and contact your local congressperson. Farm Bill Update: Tell Congress You Love LAMP!